Spring has finally sprung here in New England and my calendar is bursting with workshops and events for your learning pleasure. My Energy Tools To Rock Your Life workshop visits Cape Cod this Saturday, April 26th. Click here for all the details. This event is at my mother’s house, so if you show up you’ll need to be on your best behavior. I’m very proud to announce I’ll be teaching at Circles of Wisdom in Andover, Massachusetts often this Summer. 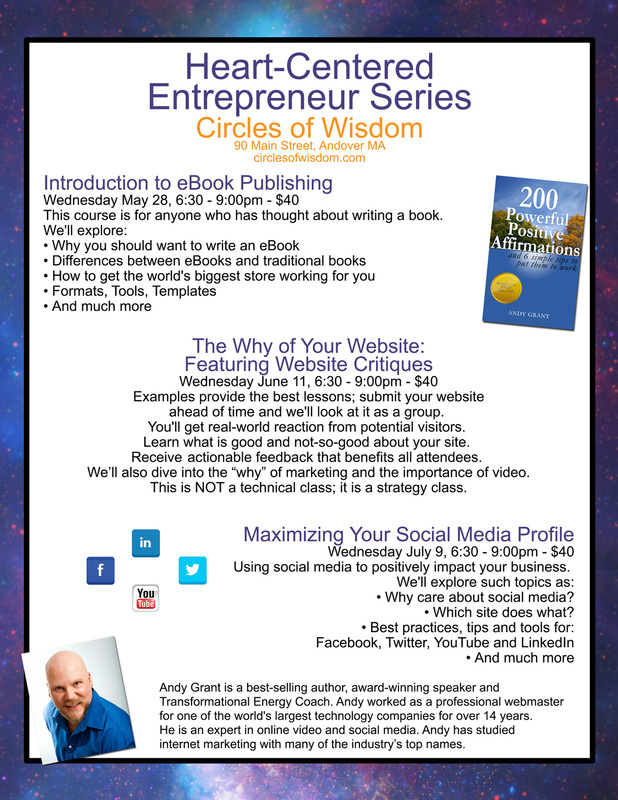 I’m premiering my Heart-Centered Entrepreneur Series of three individual classes at Circles of Wisdom beginning Wednesday May 28th with an Introduction to eBook Publishing. Followed by classes on The Why of Your Website Wednesday, June 11th and Maximizing Your Social Media Profile on Wednesday, July 9th. Sign up for one or all three at CirclesOfWisdom.com, each class is only $40. 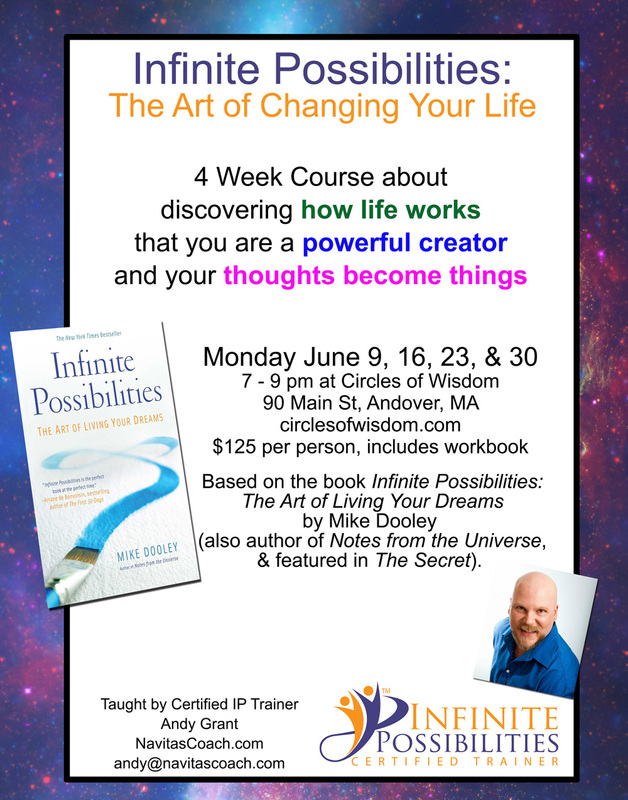 Circles of Wisdom will also be hosting my Infinite Possibilities: The Art of Changing Your Life class in June over four consecutive Monday evenings, beginning June 19th. Get all the details here. Leave a comment for: "An Abundance of Events Coming Up"